A playshop in Haiti to dive deep into your soul. Shine light on your unconscious with tarot. Learn how to love your shadow aspects. Have the adventure of your life and experience one of the most mysterious islands of this world. Are you ready to breathe back magic into your life? Alice Smeets has designed a 7 day fun, revolutionary playshop, taking you on an emotional and mental journey. 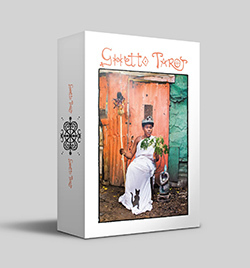 Combining tarot, Haiti’s magic, shadow work, meditation, communicating transparently, sharing circles and dance to deeply connect to yourself. One workshop is coming up in 2016 in Haiti. Alice Smeets is a photographer, artist, tarot reader and healing guide. She practices the art of living by following her bliss and trying out everything that comes along her way. She provides guidance for others to find their purpose in life and heal their wounds from the past.